Bookmark advertising Paroleine spray compound. Found inside a library book. 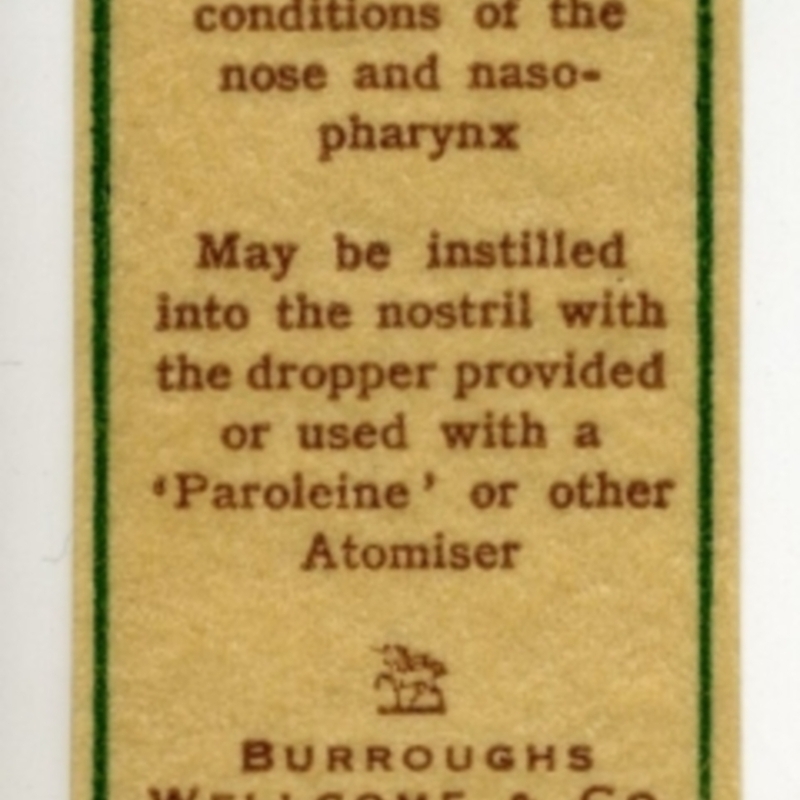 Burroughs, Wellcome & Co.; 1880-1942; Pharmaceutical manufacturers, “Paroleine spray advert,” Heritage, accessed April 23, 2019, https://heritage.rcpsg.ac.uk/items/show/399. Description: Bookmark advertising Paroleine spray compound. Found inside a library book.